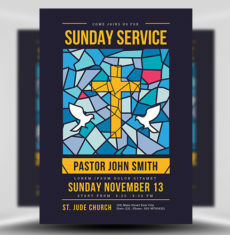 Sunday is about rest, reflection, silent thought… unless of course you’re in the choir! 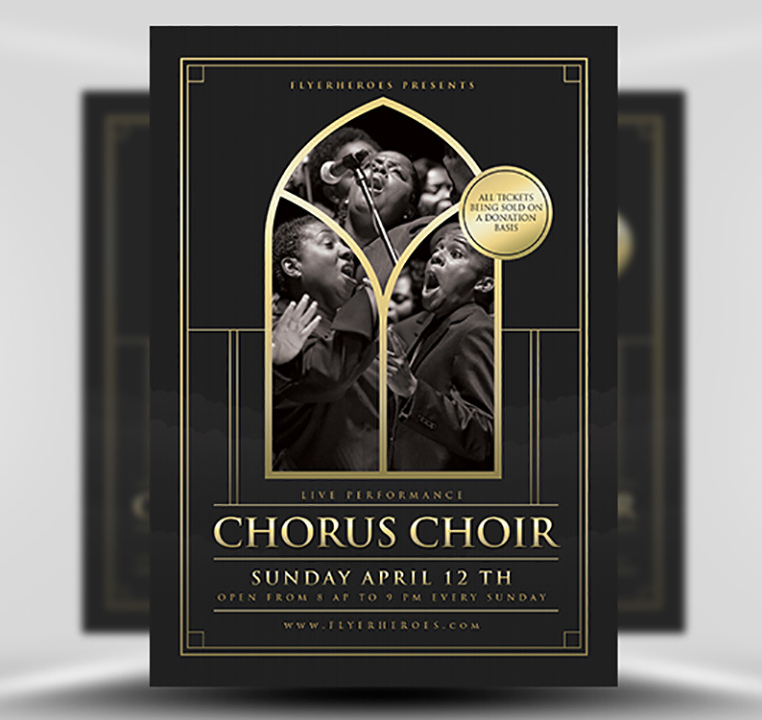 Gospel choirs are a well known joy, and yours is ready to put on a show this Sunday! 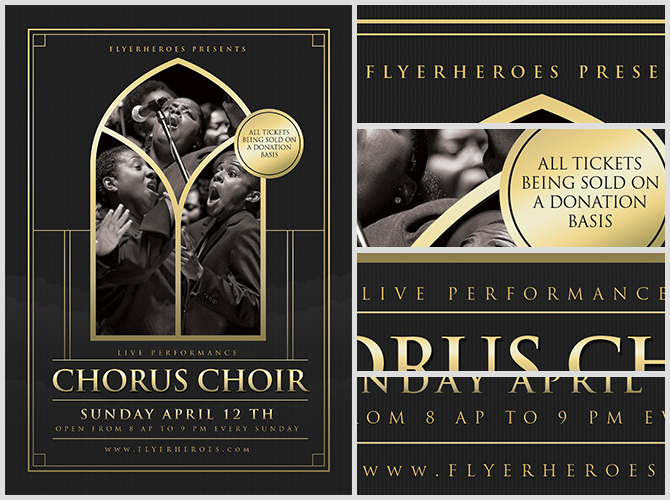 They are ready to give back and spreading the love through the wonder of song! 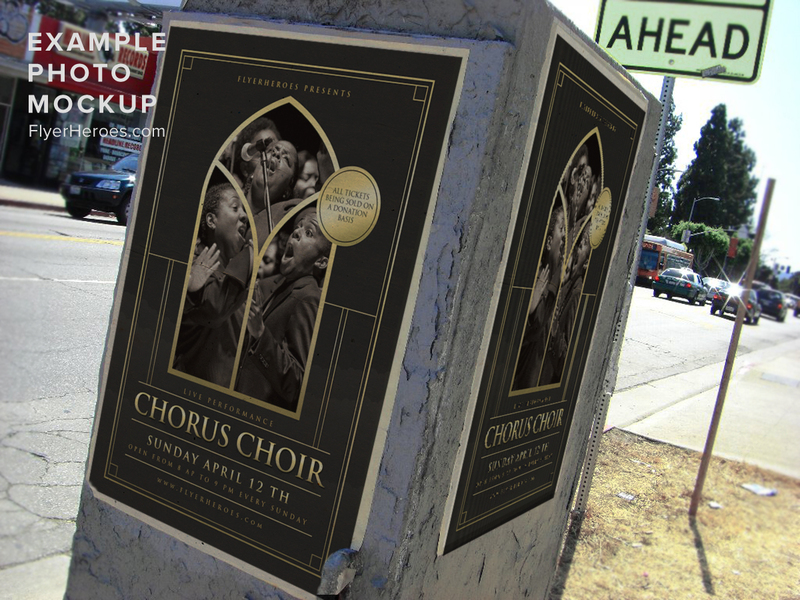 Let everybody in your community know that this Sunday, the door to your church is open and the choir is ready to sing their hearts out! 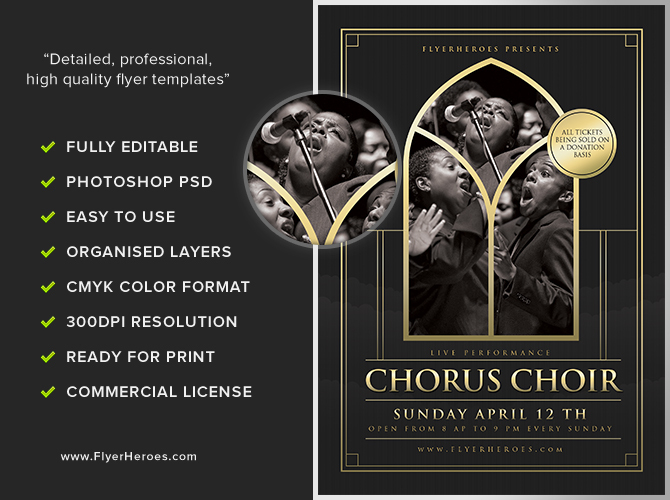 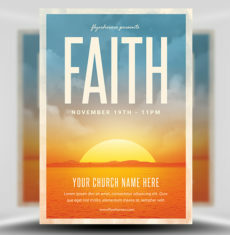 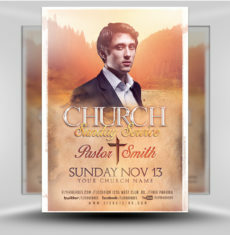 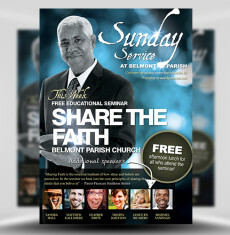 Choir Chorus Flyer Template v2 is a premium Photoshop PSD flyer / poster template designed by FlyerHeroes to be used with Photoshop CS4 and higher.